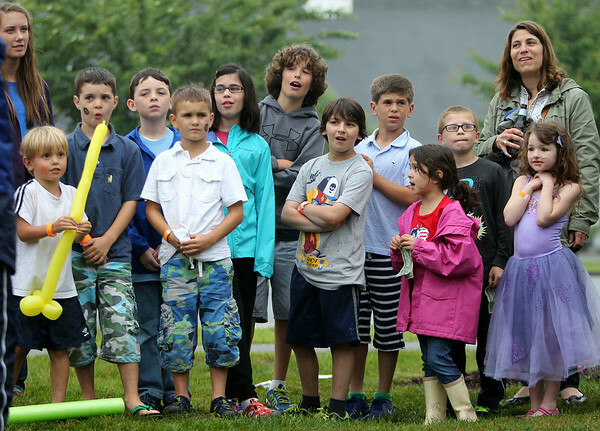 Excited onlookers wait in anticipation as people throw baseballs at the dunk tank trying to dunk Fire Chief Kirby Brand during the 6th annual block party held at the Hamilton-Wenham Community House on Friday afternoon. DAVID LE/Staff photo. 4/13/14.